This week, we launched another new Squarespace-powered client website, our seventh created in the platform. The site, for The Women's Fund of Essex County follows another recently launched site for the Mystic River Watershed Association. Both are relatively deep, multi-level, responsive sites, and are based on a series of longer segmented summary pages that together tell the who, what and why of each organization for the first time visitor or casual browser. Deeper information is then linked off of each of these pages for visitors looking for more specific content. The Mystic River site, in particular, contains dozens of lower-level pages that drill down into everything from river bacteria levels to herring count. Managing this amount of information, without letting it overwhelm the first time visitor took considerable attention to site-structure and user-experience. We link this more specific content from the relevant section of the summary pages, and provide direct links to each of these subsections through a comprehensive footer index, as well as a top of page sub-navigation scroll. Other features of these sites include a parallax scroll effect on the Women's Fund site, and a home page calendar and news feed on the Mystic River site. These sites are both bigger and deeper than any we have built before with Squarespace, and were complex enough that we initially considered using the more robust Wordpress. But by sticking with Squarespace, we were able to manage all aspects of the development and launch inhouse, reducing the development cost and timeline. Even more importantly, it allowed us to hand off a site to the client that would require minimal ongoing maintenance other than content updates. One of the biggest drawbacks with Wordpress for small businesses and organizations is the need for ongoing back-end theme and plug-in updates—all with the potential for conflicts, malware, or broken code. As with any web platform, there are still some frustrations with Squarespace: Navigation and customization options are more limited than Wordpress; the drag and drop grid is sometime quirky; and the lack of a full set of headline levels or a custom class option in the text block seem a clear oversight. Some sites will still require the more robust features of Wordpress. But for a significant portion of the small business market, we feel that Squarespace's benefits clearly outweigh its limitations, and we are big advocates of the platform. 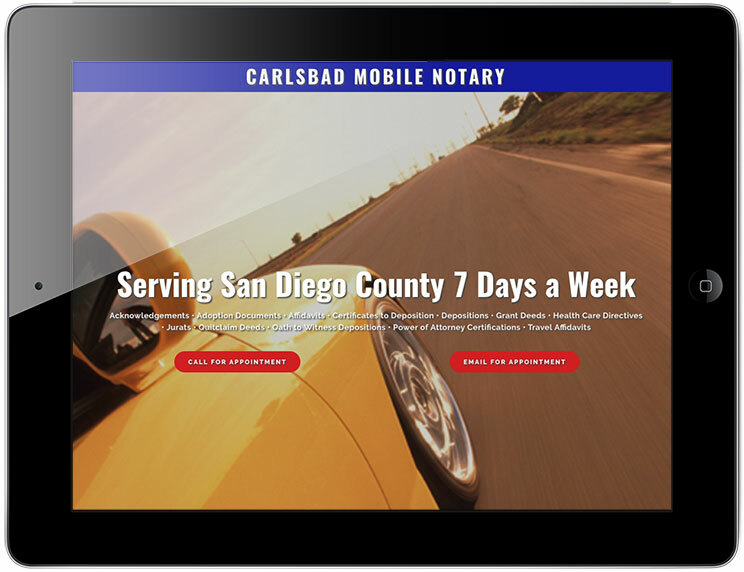 Other Squarespace sites we have created include UBLA Residential Landscape Design; home furnishings store Ce Ann's Vieux; the Gran Prix of Beverly criterium bike race; Carlsbad Mobile Notary, a mobile-first design; and our own website. Please contact us for a free consultation if you are in need of a website, and like what you see here. Also be sure to check out our full web design portfolio.